DEVELOPING STAFF AS WELL AS PROJECTS. 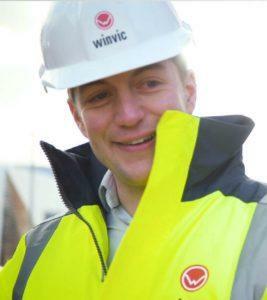 WHY CHOOSE WINVIC AS YOUR EMPLOYER? We are a delivery focussed, multidisciplinary main contractor with a solid reputation and a passion for the latest technologies. Ideally located in an East Midlands position, we have grown year-on-year and gained momentum in various sectors, in part due the trust and rapport we build with our stakeholders. We’re also dedicated to fostering long term relationships with our employees, which is backed up by our staff retention figures. Already interested in joining our team? From before day one, Winvic’s founders had a vision of a construction company that didn’t just meet contract requirements. They could see an organisation that was completely trusted by its staff, clients, contractors and subcontractors, and which propelled projects to not only meet goals and expectations, but to also go above and beyond. Today, this ethos is known as The Winvic Way. It ultimately means something different to everyone, but the phrase embodies how each Winvic employee wants to execute their role. Companies and potential new members of staff that share our unyielding ethos are inevitably drawn to working with us, and vice versa, finding our open, pragmatic and ‘go-all-out’ attitude refreshing, valuable and desirable. Watch our ‘We Are Winvic’ video to hear from real Winvic employees who are honest about their experiences and daily execution of The Winvic Way. On offer is a highly competitive salary and rewards package and the chance to work in an environment where you will be well respected and given the opportunity to continue to develop and progress in your career through our commitment to investing in training and development. We attract and develop talented individuals at all levels, from trainees and bright graduates to experienced professionals, who join us to develop their careers in a dynamic, growing business. See our Vacancies and LinkedIn pages for current opportunities. When we receive a job application, we see that moment as the start of a relationship and our outstanding staff retention figures illustrate Winvic’s commitment to its staff. If you can be described as talented, passionate and forward-thinking, whatever stage you’re at in your career, we would love for you to consider choosing Winvic as your next employer. For further information on Winvic and the range of opportunities available, download our Joining The Winvic Team brochure. 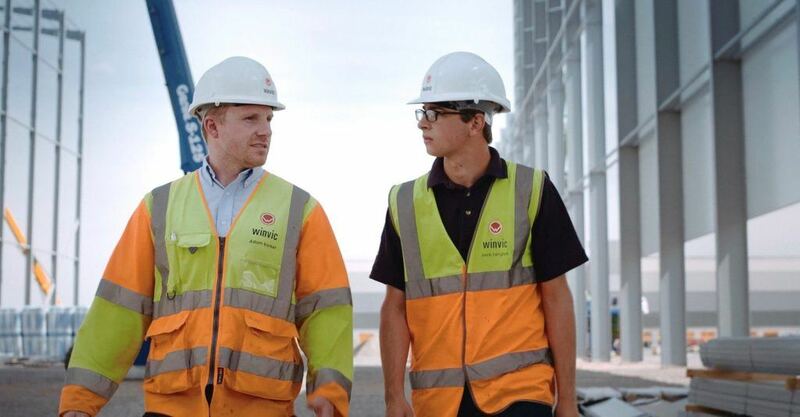 Our employees are our most important asset and our success and growth is testament to their absolute commitment to continuous improvement in everything we do, in order to deliver competitive advantage for our clients, and raising the industry standards to which our competitors aspire. Read our employee stories to hear what our people have to say about working for us and why they chose Winvic. Pride and Joy: Winvic employees took an active role in the most recent campaign from CITB’s Go Construct, giving their parents a unique insight into what their job entails. Watch these videos to find out what they had to say about their career in construction.